Based on the true story of one German businessman helping Jews escape the Holocaust, Schindler's List is a powerful drama and history lesson rolled into one. Steven Spielberg crafts a harrowing vision of hell in Poland, a place suffering under the insanity of fascism while one man awakens to his ability to make a difference. The Germans have invaded Poland and forced all Jews to leave the countryside, register, and cram into the cities. Resourceful German businessman Oskar Schindler (Liam Neeson) arrives in Krakow looking to make his fortune by profiting from the chaos of war. When all Jews are forced into the Krakow ghetto, Schindler purchases a metalworks factory with the help of local Jewish leader Itzhak Stern (Ben Kingsley). 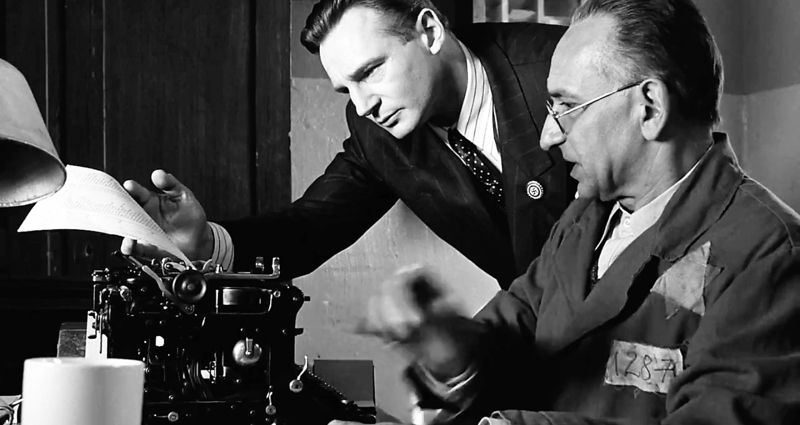 Schindler recruits a fully Jewish labour force as a cost saving strategy, and uses the resourcefulness of black marketeers to gear up his production lines and make himself a rich man, with Stern as his chief accountant. 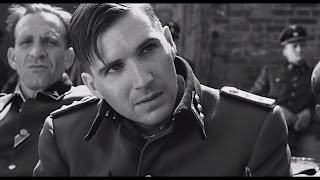 Second Lieutenant Amon Goeth (Ralph Fiennes) of the German army is tasked with the construction of Płaszów concentration camp. Once the prison is ready the Krakow ghetto is forcibly "liquidated" and all surviving Jews moved into the camp. Schindler witnesses the horrors of the mass killings, as well as Goeth's barbaric treatment of the prisoners. He does his best to use his influence to cajole Goeth into a more humane approach, while keeping his factory operating. With the war beginning to approach its end and the mass extermination of Jews accelerating, Schindler has an opportunity to use his wealth and clout to save many lives. 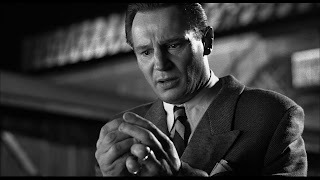 One of Spielberg's career highlights, Schindler's List is three hours of heart-wrenching drama only slightly alleviated by the faint light from an individual's act of kindness. While Schindler's story provides the overall context, this is a chronicle of the holocaust at close quarters, and it is not for the faint of heart. The film is an essential and emotional experience, as Spielberg recreates an altogether mad few years where the wholesale death of millions of people was a way of life for their oppressors. The brutality of the Nazi regime against the Jews of Poland is laid bare and presented in gut wrenching close-up. The indiscriminate mistreatment and killing of men, women and children, from individual bullets to the head to mass killings by machine gun, is presented in graphic form and rendered mechanical in its efficiency. The Nazi death march was uncompromising, soulless and devoid of mercy. Jews were considered beneath contempt, and Goeth represents a regime degraded towards abject criminality, including using defenseless human being as target practice just to sow terror. His callous attitude to dishing out random death is nothing less than chilling. Stylistically Spielberg creates this nightmare in black and white, the squalor of the ghetto and the misery of the concentration camps not places where colour can survive. The only break in the bleakness comes in the form of a red overcoat worn by a little girl caught up in the Krakow ghetto liquidation. Her blissfully unaware and yet tense wanderings ignite Schindler's transformation from shrewd businessman to saviour. Schindler's List is intended as a history lesson, and Spielberg includes several factual text explanations to introduce events and chapters in the history of the holocaust, blurring the line between fact-based film and documentary. The final scene tilts fully to the latter format, and is a genuine and honest tribute to the man. Liam Neeson, Ben Kingsley and Ralph Fiennes eschew star charisma in favour of somber intensity, and contribute to the film's sense of historical events devouring mere mortals. The rest of the large cast consists of relatively unknown Israeli and Polish actors exuding authenticity in hundreds of small roles, the lack of known names successfully maintaining focus on the subject matter. Oskar Schindler rose above to demonstrate the difference that one man can make, but Schindler's List is ultimately a devastatingly sad but brilliantly executed film about the incredible ability of humans to utterly lose their humanity.